No one likes cleaning up after dirty shoes. It’s constant work to keep a home or office clean, when the great outdoors make their way inside. Fortunately there is a device perfect for protecting your flooring from dirt. Using a shoe cover dispenser is an easy way to keep your floors looking perfect after guests leave! Who Needs A Shoe Cover Dispenser? Home owners love using shoe covers dispensers because they are a nice alternative to asking guests to remove shoes, or wear slippers. Since guests get to keep on their own shoes, it makes things a lot easier! But home owners aren’t the only ones who benefit from these disposable shoe covers. 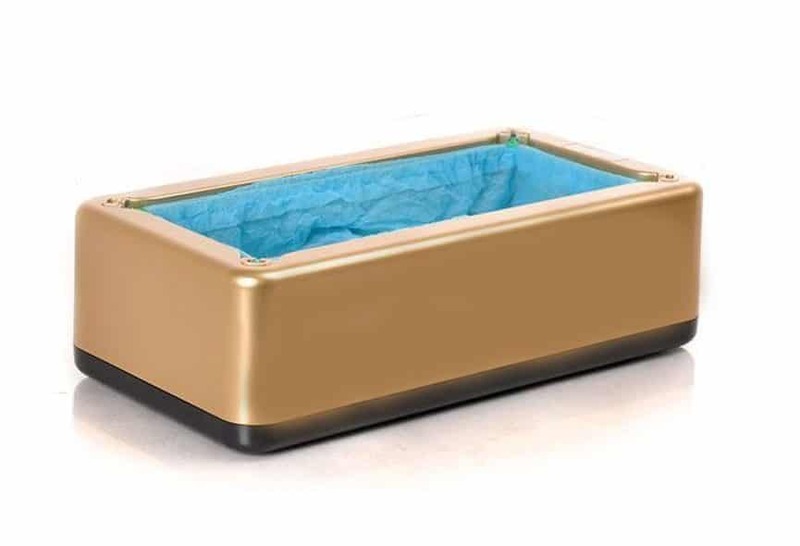 Any business where the dirt on the floor can pose a hazard to your customers, or alter the look of a home is the perfect place to use a shoe cover dispenser. But how do you know which type is right for your needs? There are a few things to consider when picking the shoe cover option thats right for you. The first one is volume. How many visitors do you have coming and going on a usual day? If it’s a large amount of people, you probably want a shoe cover dispenser with a large capacity. The second is frequency. Are the visitors coming and going in and outdoors frequently? If they are going in and out repeatedly, they will need a new set of plastic shoe covers each time. In this case you may want an automatic shoe cover machine that uses a plastic film so they can just add a new piece each time they return inside. Finally, the third question is cost. Some machines are less expensive but you may have to adjust the shoe covers by hand to get the perfect fit. Larger shoe covers on the other hand are more pricey, but work much better for large volumes. Keep these factors in mind when picking your shoe cover dispenser! And now, which ones are the best? The automatic shoe cover dispenser by The Emperor Of Gadgets is a great pick for people who need shoe covers once in a while. It’s a great choice for homes, and real estate professionals because it’s lightweight. The spring loaded shoe cover machine is easy to use. You simply step one foot in, and push down on the spring to release a cover over the shoes. The price point is one of the lowest for a quality shoe cover dispenser, and it comes with 10 pairs included. This machine can be used with any brand of disposable shoe covers that have clips, but Emperor Of Gadgets Recommend these for this machine. This sanitary shoe cover dispenser by Powerlead is another great pick for best shoe cover dispenser. Why? Because it’s stylish, functional, and perfect for around the home needs. The set up is super easy, and this shoe cover machine includes 100 shoe covers with the purchase! 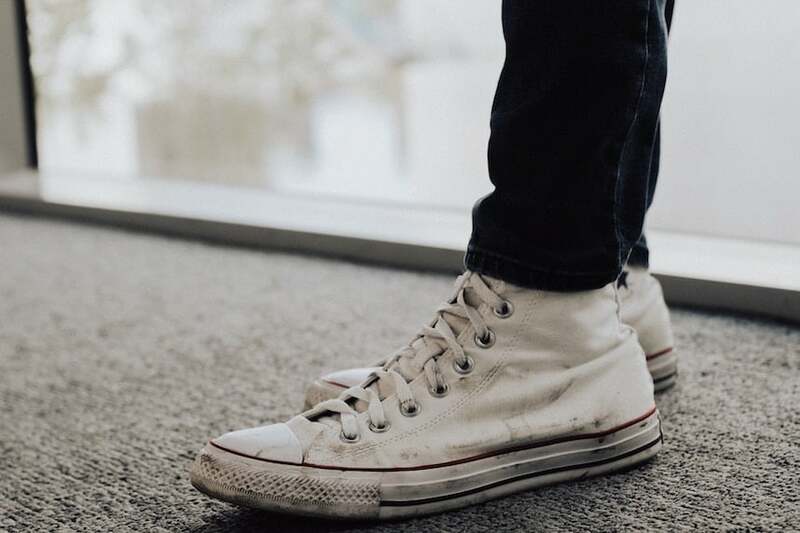 The Powerlead disposable shoe covers are very lightweight, so they’re best for real estate professionals, and small businesses that don’t have many people coming back in and out. While they’re not super durable, they’re perfect for light usage situations, and the affordability makes this a great value. The Trimaco E-Z Floor Guard Starter Kit is the perfect shoe cover dispenser for high traffic areas. Unlike the pre made disposable shoe covers, this kind of machine works differently. You place your foot into the dispenser, pull your foot back, and tear off the plastic shoe covers. Then you tap the tips of your shoes against the floor to secure the covers, and you’re ready to go. 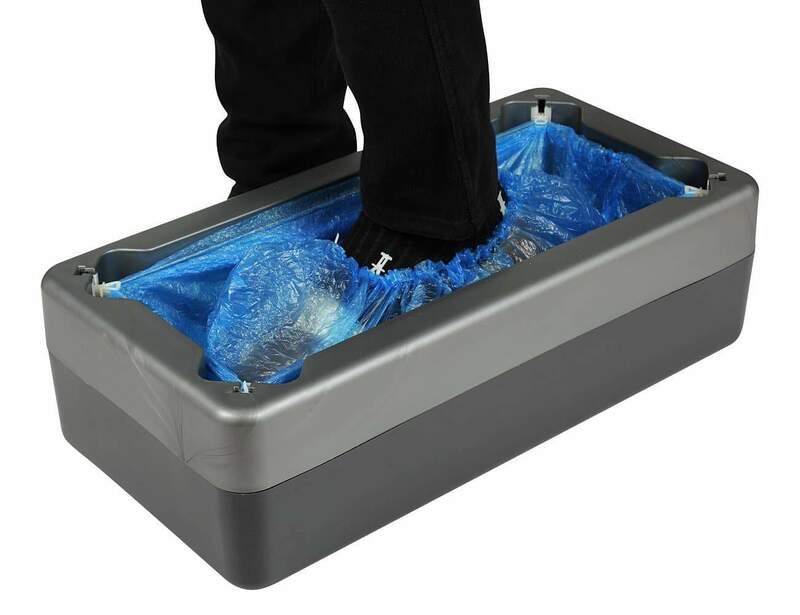 This type of shoe cover is ideal for construction and remodeling work, or any other area where people are frequently going in and out. It works great because when you re enter, you can simply place your foot back into the shoe cover machine, and add another layer of plastic without removing the old one. This makes things MUCH faster! It is also one of the most economic options for keeping clean floors in areas with a lot of people, and includes one Floor Guard roll with your purchase. You can also get more E-Z- Floor Guard Refill Rolls easily whenever you run out. This automatic shoe cover dispenser by Shoe In Fusion, is a high quality machine perfect for commercial use. This machine is ideal for Medical Offices, Laboratories, Factories, and other medium-high traffic areas that need to be kept sanitary. This dispenser is automatic, and easier to use than the smaller machines. You simply stick your foot inside the machine toes first, pull back, and the shoe cover will wrap around your foot. This machine can hold up to 220 shoe covers, making it a great pick for frequent usage. The Shoe In Fusion shoe dispenser is pricier than the other basic models, however it is much more durable for high volume situations. 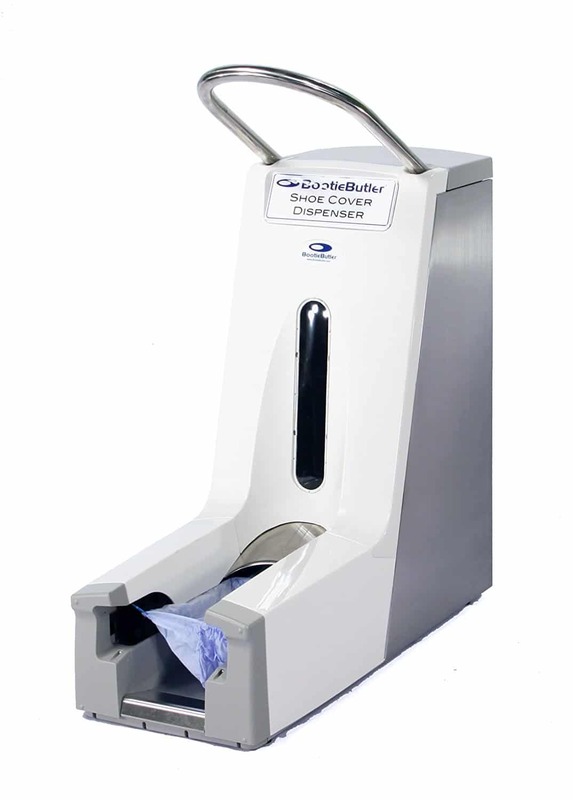 The Protexer Automatic Shoe Cover Dispenser is the best shoe cover dispenser you can get for commercial grade facilities. 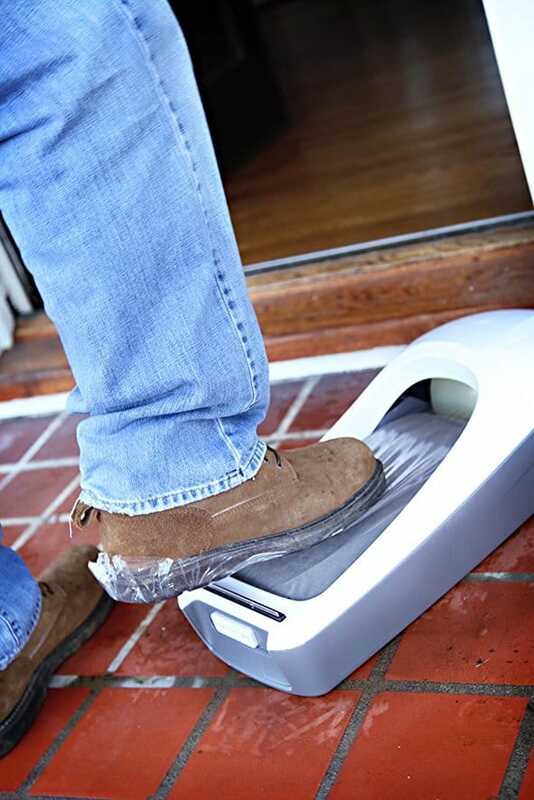 Their “Stay” automatic shoe bootie dispenser is ideal for high-volume usage because it is very fast and easy to use. You simply inset your foot, and the shoe cover releases instantly. The machine is made from stainless steel and ABS plastic machine, with a built-in handlebar for extra stability. It can hold up to 220 disposable shoe covers in two bundles, is easily loaded in bulk for added convenience. Because this machine is heavy duty, it is the most expensive of the options here. Additionally, the plastic shoe covers made for this machine the are the highest quality you can get. These covers are large enough for boots, are non-skid, and made from a durable Polypropylene. Which Shoe Cover Dispenser Is The Best Over All? Overall, I would say #3 – Trimaco Floor Guard Starter Kit, is the best option for shoe cover dispenser. It’s moderately priced, refills are less expensive, and you can apply multiple layers of covers if you go in and out. They also are better looking than the plastic shoe covers — an added bonus! As you can see there are several types of shoe cover dispensers, and which one is best for you totally depends on where you will be using it! You can rest assured whichever option you choose, your floors will thank you! Happy shoe covering!